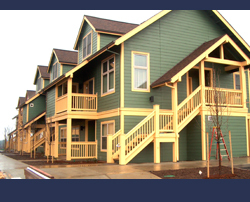 In addition to safe, individual apartments, Mary Parrish Center provides a wide range of flexible and optional support services including clinical therapy, a workforce development program, emergency financial assistance, housing advocacy, enrichment activities, and case management. Are you familiar with Mary Parrish Center? Help others out by answering these questions.